In this video, Tapemark Engineer Tim Brown dives into our secondary packaging process. Our secondary packaging allows us to be more in line with our customers and meet their needs to make sure they have the right product before official launch. It also helps with stabilization, samples, and the adaptation to market trends. Watch the video to understand why our secondary packaging process is the best around. 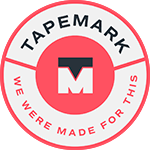 [Transcript] "Hi, Tim Brown from the Tapemark engineering department, wanted to talk to you today a little bit about some of our secondary packaging. In previous videos, you've kind of seen more of our high end units that are high speed. What you see behind me right now is a process that we developed for one of our proprietary products to have some automation and some hand assembling. What you see on my left is a piece of equipment that actually does the counting for us. What you see on my right, is what actually does the light coating of the primary the verification of the primary and the reject of the primary if the lock code is not readable or wrong. Now what this does is it lends itself to be more in line with, you know, up and coming customers that maybe want to come in and do small runs, or maybe get some of their product out for stabilization or some type of market trends or just sales samples or whatever you have. We can do it. We're from the lowest of the hand assembly all the way up to maybe 100 to 150 packages a minute.Thank you."